Wedding cakes have become an integral part of Indian weddings and our couples are experimenting with designs like never before (Yes, we include everything that gives us a chance to indulge our sweet tooth!). From engagement parties to wedding receptions – cakes are a good idea for every occasion. You can also customize your cake nowadays to complement your theme or colour scheme like this gorgeous water colour inspired wedding, where the wedding cake was nothing short of magical. With cake shops in Pune popping up throughout the city, you will be spoilt for choice while choosing your ultimate sweet treat – yes, the wedding cake. To make your choice simpler (okay, to find an excuse for some cake tasting), we’ve handpicked our top five cake shops in Pune where you can get your wedding cake baked to perfection. 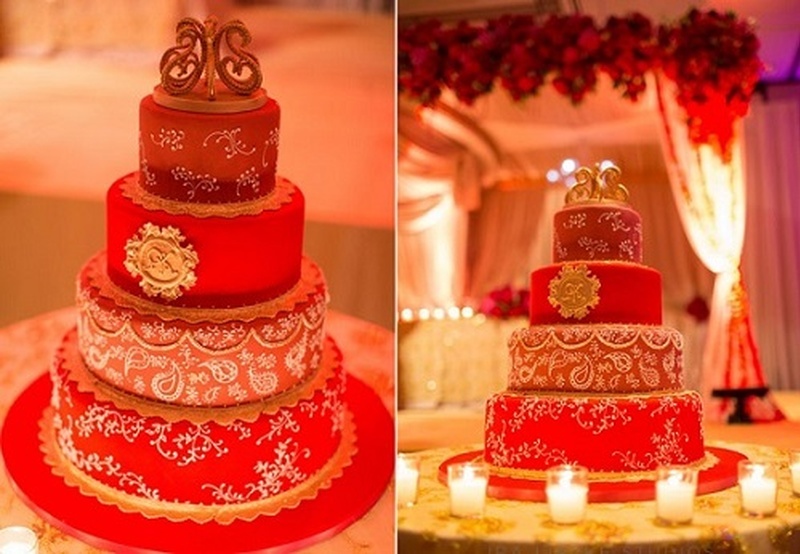 If an exotic wedding cake is what you have in mind, Fusion Cakes is your go-to cake shop in Pune. From 3D cakes, photo printed cakes, fruit cakes and more to wedding cakes and anniversary cakes – they take care of it all. They have a range of fresh cream cakes, fruit cakes, chocolate cakes, egg-less cakes, fondant cakes and more which can be customized to suit your occasion or theme. You can also print a cutesy picture of the two of you on the cake for a personalized cake. If designer wedding cakes are your idea of perfect wedding cakes, Kreative Kakez can fulfil your requirements. Their expertise lends an elegant finishing touch to the quirky and beautiful cakes. This creative cake shop in Pune can bake cakes of various shapes and sizes and with their finesse in fondant moulding you can also tell your own love tale on the cake with figurines and emoticons. SeemaSaraf, the woman behind personalized cake shop in Pune - Sweet Mantra, took up baking after moving abroad, where she lost touch with interior designing. The talented baker completed a course from HCCC, New Jersey and started baking professionally after moving to Pune. Cupcakes and 3D designer cakes are her speciality and your wedding cake will surely be a special affair since they do not repeat their designs. She is helped by her husband Jatin and the duo is winning hearts all over with their charming designer cakes. Custom Cakes one of the best cake shops in Pune is known for offering an assortment of delicious and gorgeous cakes that are perfect for weddings, engagements and anniversaries. The moist cakes they bake are available in various flavours and their dedicated team can go the extra mile to make yours truly special by customizing the cake to your specific requirements. You can also place your orders online, making them an ideal choice for outstation weddings. Based in Uttar Pradesh but with deliveries across India, Wish A Cupcake is truly one of the best choices out there for wedding cakes. Their inviting cakes of various flavours have us swooning (okay, drooling!) all over the place. You can also customize their cakes to suit any occasion and requirement. Their cakes are also available in an assortment of sizes and flavours to help you order for every occasion and every size of gathering. Now that you have the list, what are you waiting for? Dig In!